Studies from around the world keep finding the same thing: Early literacy is empowering. Published by Elsevier in 2010. Major Findings: Children who grow up in homes with many books receive the equivalent of three years more schooling than children from bookless homes, independent of their parents’ education, occupation, and class. Published by the American Federation of Teachers in 2003. Major Findings: In four years, an average child in a professional family would accumulate experience with almost 45 million words, an average child in a working-class family 26 million words, and an average child in a welfare family 13 million words. Bridging the gap after age 3 becomes almost prohibitively difficult, making early literacy paramount. Published by the National Literacy Trust in February 2018. Major Findings: People with poor literacy skills earn 12% less than those with good literacy skills. Low incomes are associated with higher mortality; the World Health Organization found that children born into low income families live 17 years shorter than children born into high income families (62 years vs 79 years). Published by the The National Institute for Literacy in 2009. 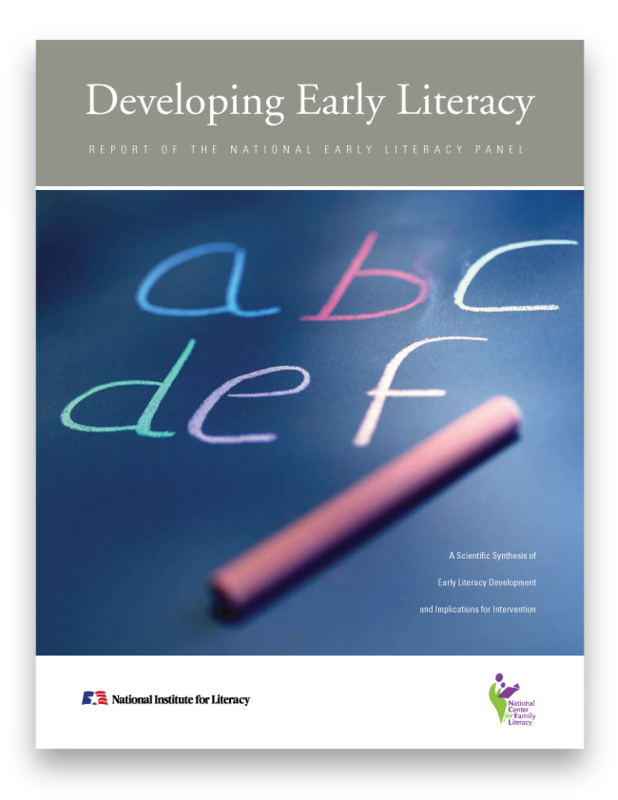 Major Findings: Some early literacy skills appear to be more important than others. The strongest and most consistent predictors of later literacy development are alphabet knowledge, phonological awareness and memory, rapid automatized naming of letters and objects, and writing letters. Educating teachers to focus on these skills can drastically improve academic success later in life. Published by the University of Birmingham in 1998. 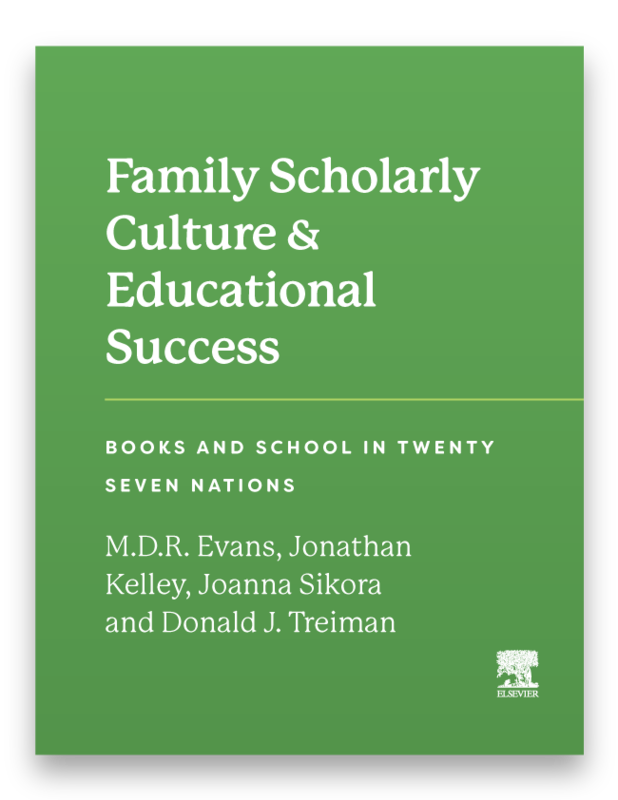 Major Findings: Children from inner city families who had participated in a pilot project of book gifting when they were babies were followed up to their first year in school and matched with a comparison group whose families received no book gift pack. 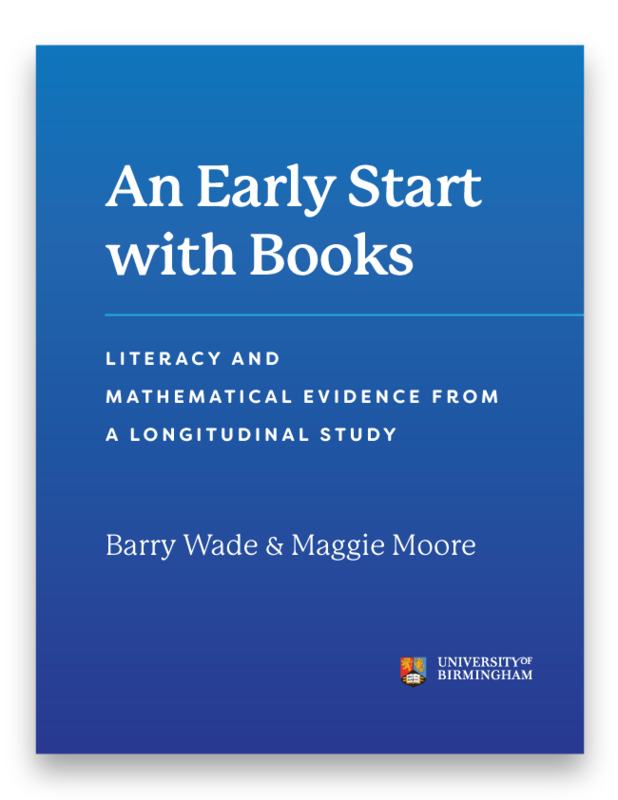 Baseline scores reveal that the groups who received books were significantly further ahead in six measures of literacy and numeracy. Published by the National Institute for Literacy in 2008. Major Findings: Eleven variables, from alphabet knowledge to visual processing, demonstrated that children age 0–5 exposed to books categorically demonstrate higher levels of academic performance later in their education.